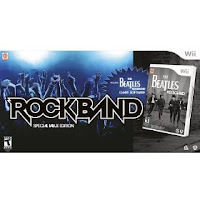 Beatles Rock Band Bundle at Amazon for $119.00 with free Super Saver Shipping. (Regular Price $159.99 Savings of $40.99). Available for WII, Xbox 360 and Playstation 3. Click the Special Bundle Button to get to this deal and select the game system you need. 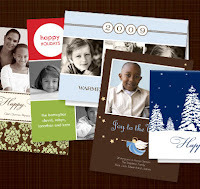 Get 12 Free Cards from Shutterfly's 2009 Holiday Card Collection. Promo code: YOURCHOICE offer ends 11/04/2009. Choose from 12 Stationary Cards or Christmas Cards. Albee Baby has a RARE 15% off coupon on all non discounted items. Enter code: 15OFF. Right now they have Free Shipping on orders over $100. I have been eyeing the Stokke Tripp Trap Chair for Becca's short stature needs for her homeschooling to get her proper posture due to the suggestion of her rehab specialists. $249.99 less $37.50 = $212.49 with FREE shipping is not bad, considering no one ever has these on sale anywhere for less. I will have to see what my budget says. Buy $30.00 or more worth of Legos, get a FREE Brickster Lego Case $19.99 value (good until 10-31-09). 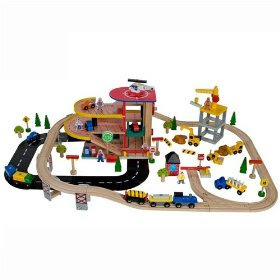 I will have to decide what set I want and send Nate into Toys r Us to pick up this deal for me. Will you? (Nate I know you are reading this). As a member of Toys R Us Rewards I received some coupons for Tonight 10/28 from 5 to 9 only. I am debating buying Hannah Montana, Jonas Brothers and Suite Life on Deck and saving $20. Target Deals: Thanks, Couponing to Disney! With all the FREE and inexpensive cereal we have been getting, the Kraft Marshmallows will make make some very cheap make-your-own Breakfast Cereal Bars for on the go. Dee loves Fruit Loops or Honey Nut bars. Make them just like Rice Krispie or Fruity Pebble Bars. Print Your Coupon for an additional 15% off all clearance clothing, accessories and shoes at Babies R Us from Oct. 28-Nov.8, 2009. I posted this deal for my grandbabies and our readers. 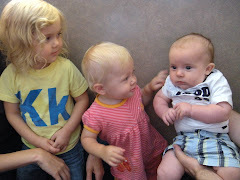 Kristy has the two girls, and my son Nathan and Daughter-in-law Stacey are expecting our newest family member in April. **Remember you can use an AD to price match at Walmart or Target on this deal. 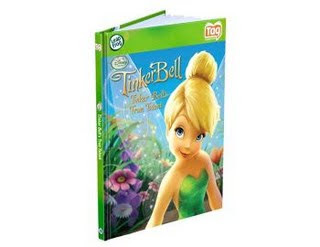 1) Proof-of-purchase tab from your Tinker Bell and the Lost Treasure Blu-ray™ or DVD. Proof of purchase tab is located on back of package just above the UPC code. 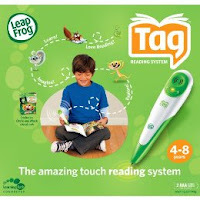 2) Proof-of-purchase tab or UPC code from your Tinker Bell LeapFrog product. 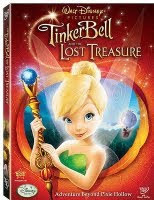 3) Cash register receipt from your Tinker Bell and the Lost Treasure Blu-ray™ or DVD purchase imprinted with store name and dated between October 27, 2009 and January 31, 2010 with purchase price circled (photocopies acceptable). 4) Cash register receipt from your LeapFrog purchase imprinted with store name and dated between October 1, 2009 and January 31, 2010 with purchase price circled (photocopies acceptable). 5)This original, hand-printed, completed mail-in certificate. A $5 rebate by mail. Please allow 6-8 weeks for check to arrive. *Limit one (1) rebate per household. Offer valid, and purchases must be made, between October 1, 2009 and January 31, 2010. All requests must be postmarked by February 28, 2010. Group submissions are void. Store receipts must emanate from same state as consumer address. Rebates will not be mailed to P.O. boxes. * Final cost $25.89 for both! Now my next challenge, to find one of the Target Toy Coupon Catalogs!!! Countdown to Christmas 62 Days to Go. Today's Find: American Girl Doll Story Collection and Mini Doll Gift Packs at Sam's Club. Cruising Sam's Club last week I discovered they once again have the American Girl Historical Doll Story Collection Book and Mini Doll Gift Packs for $24.99. I bought the Rebecca (of course) and Julie Gift Sets and saw Molly, Kirsten, Kit, Kaya and Addy at our store. This is a great deal seeing as at American Girl the books alone retail for $29.95 and the Mini Dolls another $22.00. A $49.95 value for only $24.99. Visiting A Full Cup tonight I discovered that Target is just putting out their Toy Coupon books. Check at the service desk to see if you can find one of these money saving catalogs. The coupons are good from now until Nov. 25 (the Wed. before Thanksgiving). It looks like the coupon book matches up with a toy catalog of some kind because there are page numbers along the bottom of each coupon like it should correspond to something. Here is a list of the coupons inside, they are all Target coupons. Enjoy! I have matched up the items to the mfg. toy printables I have in my binder for double saving fun. Eligible for Amazon Free Super Saver Shipping. Check out this post from Deal Seeking Mom to ave even more by getting a $10 rebate on a $25 toy purchase from Amazon. Good Friday Oct. 23 thru Sunday Oct. 25, 2009. I noticed several Big Item Sale Prices and with Toys R Us new Big Item Layaway the item can be purchased in put in safe keeping and the payments spread out over time until December 6, 2009. Countdown to Christmas 63 Days. Legos are probably the only toy other than American Girl Dolls that I have ever paid regular price for, and of course there is always one item of each on our list each season. I will share today's toy find but will get FREE shipping when I order $99. 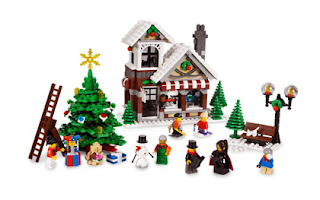 Today's Toy Find is the New Lego Winter Toy Shop for $59.99 which is REGULAR price (exclusively at the Lego Store). Not only a Lego set, but serves as a keepsake for Lego Loving Families like mine. I may get the Lego Advent Calender to stick away for Nathan my legomaniac and upcoming little one for years to come. Lego is offering FREE shipping on orders over $99 through December 6, 2009. I was hoping to find a Lego coupon code but unsuccessful. -Buy two specially marked General Mills cereals that say "free movie ticket" on the front. I found a code on Cinnamon Toast Crunch and I price matched my grocery ad at Walmart and used a coupon. -Enter the code inside each box at General Mills e-Movie Cash For every two codes you enter, you'll receive one free adult admission. Remember to print out Cinnamon Toast and other General Mills Cereal Coupons at Coupons.com and Smartsource. With 64 Days till Christmas ... (hopefully our adding is correct) Becca and I are officially beginning the Countdown to Christmas with launching our " Christmas Toy Savings Find of the Day". 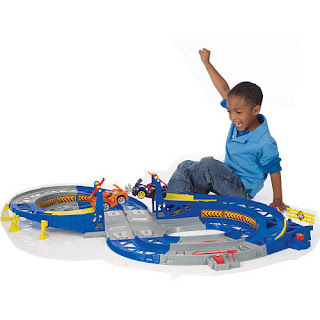 Fisher Price Shake and Go, Crash Up Speedway. Check back each day for another toy deal. I have used layaway to help keep my sneaky children out of their Christmas gifts and to pay for the items a little at a time. I love layaway, but the service fee adds to the cost of each item, but paying for it a little at at time is something that guaranteed I had the toy I needed to fill a Christmas wish. Today I found that Toys R Us as begun a NEW layaway program for "Big Gifts". The “Big Gift” layaway is available beginning 10-20-09 in Toys“R”Us and Babies“R”Us stores nationwide. Placing a product on layaway at any of our stores requires a deposit of 20% of the total purchase, including all applicable taxes, and a $10 service charge. Payments may be made at the store at any time in the form of cash, check, credit card, debit card or gift card. Merchandise will be made available within 7-10 days of final payment, so items must be paid for in full by December 6 to ensure that the gift is available for pickup before Christmas. A fee will apply to canceled layaway orders**. Shopko has a Buy One Get One 50% off Toys This Week. I checked at our store and they would only take Playskool Printables and I found these deals. Thank you to Hip2Save and Couponing to Disney for todays movie deal. 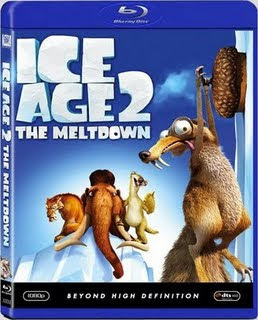 Go here to print $2 when you buy Ice Age, Ice Age: The Meltdown or Horton Hears a Who on DVD. Coupon expire 2 weeks from the date you print. Target has these Leapster Games on Sale for $15.00 this week. Other Leapster Games are also reportedly on sale. Use these $5.00 off coupons to get them for $10.00 each. 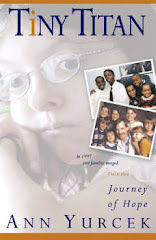 Also if you have the November 1, 2009 issue of Family Circle Magazine. I am finding inexpensive games to go with my $2.48 Leapster Handhelds for Christmas Presents. When my children were small with this tribe of mine I had to get the most for every dollar and toy treasure shopping for the holidays was a must. It became a challenge to stretch my Christmas fund as far as possible. 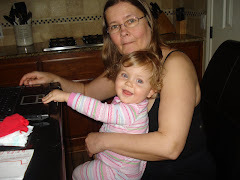 Anny's hints for frugal toy shopping and so my 11 children were not scrooged over the years. Buy at the end of the season or when they are on clearance and put the toy safely stored in a Rubbermaid bin at my friends house and do the same for her. That way when a nosy child peeks they don't find their own presents. Layaway (this also keeps sneaky children out of the toys, but also hide the layaway receipts). Watch the ads and be there early when the ad begins, or they may be sold out. When a toy is sold out, get a raincheck. Take advantage of Black Friday and use the price match strategy to save on time. I find Black Friday Ads early and the deals, then I check out Walmart, and now Target to see if they have most the items on my toy list and the ones they don't, place some older family member at that store with cash to score it. Most of all, print the toy coupons and use them with a sale for even more savings. Watch a full cup, my favorite blogs for toy deals and plan ahead. Sign up for on line savings newsletters for kids toy stores and take advantage of their clearance deals and shop from home year round. Hide your receipts (my children would check out my receipts as I save them for accounting my savings. Most important, while our children are given gifts, establish a more important tradition of caring for others and have them buy a gift for a child who may have an empty stocking at Christmas without our help. My children remember others generosity in our early Christmas years with Becca and they volunteer and pay it forward today. 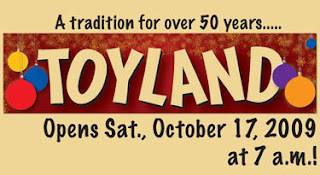 Here is Wisconsin, just as when my kids were young in Minnesota the Farm stores have the opening of Toyland. My sister and her friend were up at the crack of dawn for a Mom's shopping trip to score the hotest toy on their kids list at Mills Fleet Farm. I used to be one of those Mom's. I slept in and will use my Frugal skills to avoid the mad rush and score great deals the smart way. Today I am wishing I was out with my girlfriends doing the same, but I slept in, I have a Becca-free weekend (no listening to obsessing) as her and her Dad are in Michigan at Ians. I woke at 8:00 am to a phone call from Becca telling me she took her meds. You can tell Dad, but she reminded me that I said she needs to "check with me before she takes her Ritalin". I said it. Oh well.. she remembers the rules. Back to Toys, I just woke Detamara up and we are off to the smaller city to the Toyland opening of our NEW Blains Farm and Fleet. I have scoured the ad for our "treasured toys" with the girls for my granddaughters, friends kids, nieces and nephews and of course for Becca's Day Care at our house. Even more important, stretching our donation dollars to buy toys for the Toys for Tots Toy Drive to repay the gifts my children received many years ago when Becca was sick and our family poor. I may not hit the store until later after the rush but will use price match at Walmart for some toys that I have printable coupons on. I will price match the Toyland catalog at Pamida and put those toys on layaway. 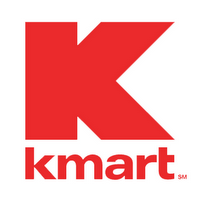 I used to price match and then put those toys on layaway at Kmart but am UNSURE of Kmarts current policy, but may be worth a try to see if they price match a competitor. 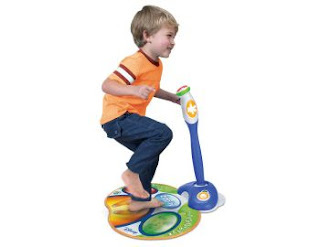 Hasbro Musical Sit and Spin $16.89 less $10.00 coupon $6.89. Kmart when they had the $5/$20 coupons and with my shopping rewards. Dee and I are off to do some Christmas shopping. Oh, I remember the most important thing on my list... Detamara found the boxed "Farkle Game" for Becca who is facebook Farkle obsessed for $4.99. I think a few of my adult kids who are similarly obsessed will get one also. 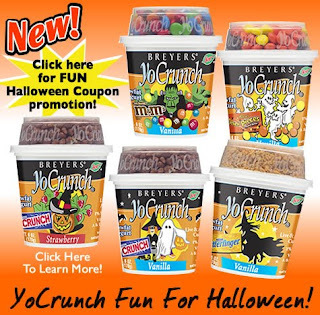 a FREE coupon for Breyers Yo Crunch Yogurt. Is it worth the stamp? I have several stamps which I got on the Walgreens personalized postage stamps on clearance for little money to use so will not cost me the cost of a full stamp. I found this site and link for some frugal high quality playset accessories. I ordered the extras for making our set unique after researching the best buys. The girls and I are busy finishing our playground after our vacation to California and want to finish before the snow flies. 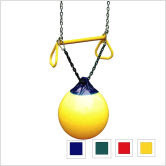 Gorilla Playsets - Buoy Ball w/ Trapeze Bar in Yellow We bought this Buoy Ball, a Yellow Belted Toddler Swing, and a Tic-Tac-Toe Spinner Panel Game to attach to our Playstar Gold Playset. It arrived today and it is everything we expected and more. Check out these post on my girls project. MAKE SURE to ENTER CODE : LOYAL at checkout to get the mini kit free. I found a $1.00 lip gloss and entered the code to get the FREE kit. Shipping was $6.95, for a total of $7.95. 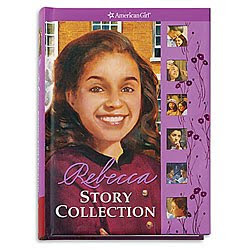 This will make a great stocking stuffer for one of my girls. 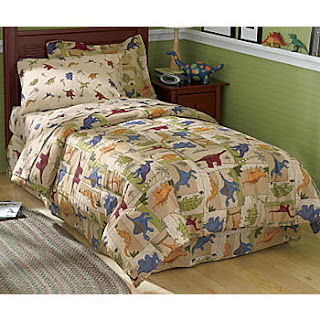 Seventh Avenue has their Dinoland Kids Bed Set . The Coupon Code is good on other merchandise. Order over $20.00. Use code SA20 at the checkout and it takes $20 off $20! Shipping and handling was $9.95 for 1 set or $11.95 for two. That's Just Nifty Thrifty posted this deal and picked up one twin and an inexpensive filler for $10.98. I ordered 1 full and 1 twin for $17.98 and $11.95 shipping plus tax after the coupon. My total was a few cents over $30. 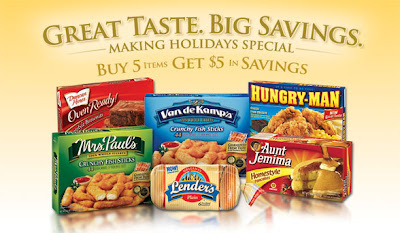 Buy 5 Get $5 in Coupon Savings. Combine with coupons to score $5 in coupon savings. Red Plum has a coupon available for Aunt Jemima Breakfast items. There was also a coupon for Aunt Jemima breakfast items in the newspaper inserts. Here is a printable coupon for Hungry Man Sandwiches here. 1) Purchase five (5) participating frozen products (Hungry-Man®, Mrs. Paul’s®, Van de Kamp’s®, Duncan Hines® Oven Ready, Aunt Jemima® or Lender’s® Bagels) between 10/11/09 and 11/9/09. 2) Download this order form and hand print your complete name, mailing address and e-mail address. The Real Meal Deal Offer, P.O. Box 1594, West Caldwell, NJ 07006-1594. All coupon requests must be postmarked by 12/9/09 and received by 12/31/09. Limit one (1) request per household. #2 Cathy whose favorite Dwarf is Dopey. The winner was drawn by Random.org. Thank you everyone for visiting Becca's Best Movie Deal Posts. Take advantage of the family and friends holiday shopping event at Toys"R"Us! Enjoy 20% off your online purchase of $75 or more at ToysRUs.com through 10/10. Using the coupon is easy! Just enter promo code 931073 during online checkout. There are a few restrictions to this coupon. It is not valid with associate discounts, any other "R"Us total transaction offer, or on prior purchases. Value is forfeited if the item is returned. Void where prohibited and valid in the USA only. Exclusions include diapers, formula, Bugaboo, Baby Jogger, video game hardware, Apple iPods, LEGO, RobotGalaxy, netbooks, gift cards, Kiddie Kandids, Motherhood Maternity, Buyer Protection Plan, phone orders, special orders, assembly fee, breastpump rental fee, delivery fee, and shipping & handling. Another Free Quart of Paint for ??? Project? What project will use you your FREE paint for? How To Receive Your Free Quart of Paint: Hurry offer is good through 10-11-09. Receive a free quart of Glidden Premium Interior Paint when you register between October 9, 2009 and October 11, 2009. Send us your completed registration form along with the brand name off any paint label. Simply tear off the brand name portion of your label and attach it to your mailing, but please be sure to keep the safety information segment for your future needs. 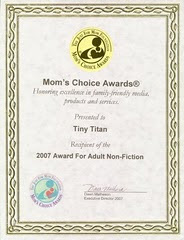 Must be postmarked by 10/16/09 and must be received no later than 11/16/09 to be eligible. Offer excludes labels from Glidden Paint, Ralph Lauren Paint and The Freshaire Choice. While supplies last. Little Debbie is giving away 1 million cupcakes. 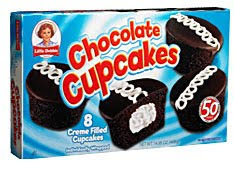 Enter to Win Free Little Debbie Cupcakes. I will be doing my Christmas shopping for the little girls in my life. I missed the big benefit sale in July. Becca and I just may make the 80 mile trip to Madison to see what we can find for my nieces, granddaughter, my friends daughters, and of course my girl's collection. Madison Children's Museum will hold its Annual Benefit Sale of American Girl Returns and Seconds 2009 Fall Inventory Reduction Sale from 3 to 8 p.m. Tuesday, Oct. 20, at its Annual Benefit Sale Warehouse, 8830 N. Greenview Drive, Middleton, Wisconsin (just off U.S. 14 and Pinehurst Drive). Please go to http://www.madisonchildrensmuseum.org/invest/annual-benefit-sale for details. A price list and detailed list of inventory will be posted on the site soon. Most items are $20 or less, and the museum and American Girl Fund for Children will share proceeds of the sale. According to the Little Tikes Website this sale may be good until 10/14 or supplies last. I had received this sale on a special email from Little Tikes today. 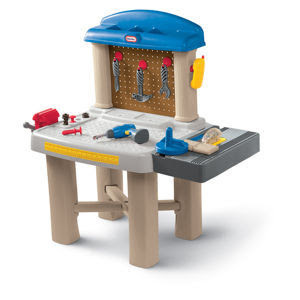 Nate here is a workbench for your garage. From Baby Cheapskate here is a $2.00 PDF Huggies Printable Coupon. Save it to your computer for unlimited Huggies savings. With two granddaughters in diapers I am helping Kristy find diaper savings and will post them here for her use and share with our readers. 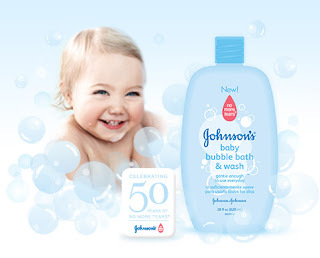 Log-in or Sign Up at Fisher Price and print a $2.00 coupon for FP Days and Nights Diapers at Babies R Us or Toys R Us. When you buy FP Days & Nights Diapers get another coupon for your next diaper purchase and coupons for ANY Fisher Price Toys or Baby Gear. I received a notice that the American Girl Doll Kirsten will soon be retired. 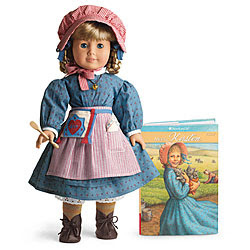 Kirsten was Marissa's second AG doll and a well loved favorite at our house. I have always loved her sweater and will pick it up before it is sold out. Once they announce the doll being retired they go fast. Kmart has their clearance toys an extra 50% beginning today. Make sure to print off the Hasbro toy coupons, the Little Pony $5/$20 coupons to score extra savings. I picked up Leapster and Clickster Games for as little as $4.50-$6.00 and they had the AC power packs for $3 for each system to save on battery usage. TAG books were $3. Mr. Potato Head Sets were $4.00 less the $2.00 making them $2.00, and Hasbro Musical Sit and Spins for $11.00 less the $10.00 coupon making it a whole DOLLAR! I found a couple of Lego sets originally $50 to $60 for $14.00-$20.00. I used a couple of $12 shopping rewards coupons to get them for even less. Print off this $5/$50 coupon for even more savings. Tuesday October 6 the new Snow White Diamond Edition DVD/Blu Ray combo will be released and it is time for another Becca's Best Movie Deal Pick and Giveaway. Can you name all Seven Dwarfs? Becca can! Becca loves Disney trivia. Giveaway: Win your a copy of SNOW WHITE Diamond Edition DVD/Blu Ray Combo. Leave a Comment naming your favorite dwarf and win a chance to win a copy of this new release movie. Drawing will be held on Saturday October 10, 2009 at 12 noon central time. Get $5 back when you purchase one participating Hefty products and the Snow White Diamond edition. You can print the rebate form and check out the details here. 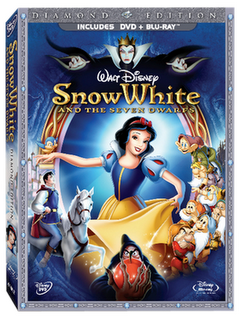 Buy Snow White Diamond Edition DVD/Blu Ray Combo get Disney Princess Doll for FREE. This will be a good time to use any Kmart Rewards that we earned during Kmart Doubles last week. I have several $12 off my shopping order coupons to use. Toys R Us will have the movie on sale for $19.99--similar to Walmart's price. In addition, advertised in their weekly ad (starting Sunday), you can score a FREE Snow White Royal Baking Set with ANY $25 Disney Princess Purchase (Snow White DVD is pictured in the ad). Thank you to Hip2Save for finding this deal. Total Cost cost $10 for the Snow White Diamond Edition after rebate, $5 in other Disney Princess items and a Royal baking Set! ****Don't forget to enter your points at Disney Movie Rewards to earn Disney products. Target has the package of the Snow White Diamond Edition Blu Ray and DVD Combo Pack with the 7 Dwarfs for $46.99. Becca found that she can get the 7 Dwarfs with 2300 Disney Rewards Points for FREE. The Retired American Girl Doll Marisol from 2005. Fitting for my daughter Marissa our actress as she started our fascination with American Girls Dolls back when she was 7. The doll was mint in the box, with the theater trunk and the dance bag with accessories and cat all in the boxes. With a search on Ebay, the most inexpensive price for the doll in box was over $150 and the trunk with bids $56.00 and $38 for the cat. I paid a whole $70 for all three items.